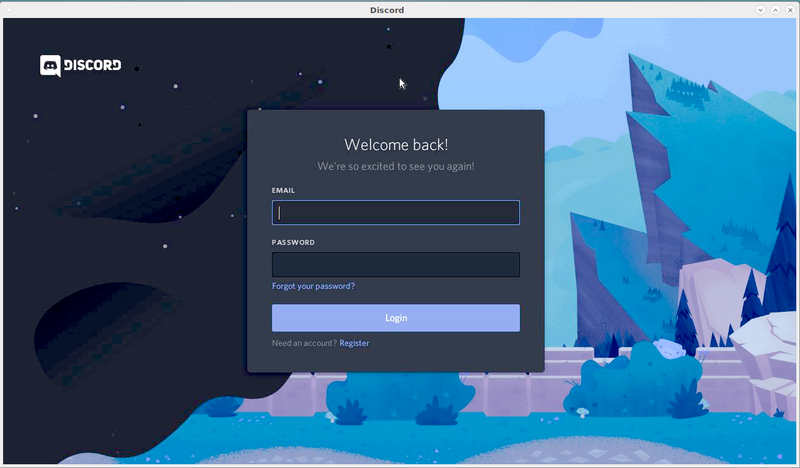 We’ve installed Discord on Ubuntu.eskimo.com, Debian.eskimo.com, Julinux.yellow-snow.net, Mint.eskimo.com (no menu entry, launch from a terminal by typing discord), and Zorin.eskimo.com (no menu entry, launch from a terminal by typing discord). On the systems with menu entries for discord, it is found in the “Internet” sub-menu. Discord is a audio / video conferencing system very popular among gamers but usable for other functions. Purple-discord, a plugin for libpurple that adds the option to use the Discord messaging service in all libpurple-based clients (including Pidgin and Finch), and harmony, for creating and managing Discord accounts although you can also use discord itself for the latter functionality, has been installed on those machines for which it was available, unfortunately, Debian wasn’t one of them. * I do not know of anyway to get the webcam capability working on Discord via x2go because I am told that USB forwarding is currently broken and that nobody has volunteered to work on it so probably will remain that way for the foreseeable future. If anyone knows of a way around this please let me know.